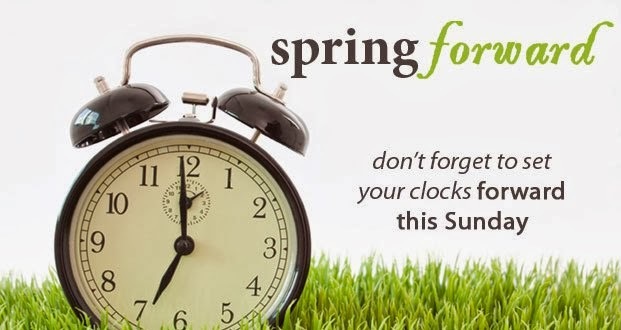 Daylight Savings Time (DST) begins this Sunday, March 10th at 2:00am. In honor of the sleep snatching event, I thought I would share 10 fun facts to shed some light on why we even bother. 2. 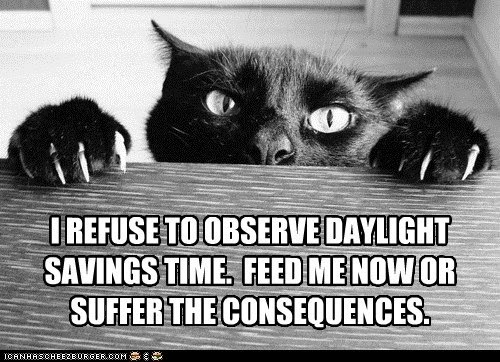 Officially, it's Daylight Saving Time, not daylight SavingS time. That's right, NO 's'! 5. The entire state of Indiana did not observe Daylight Saving Time until 2006. 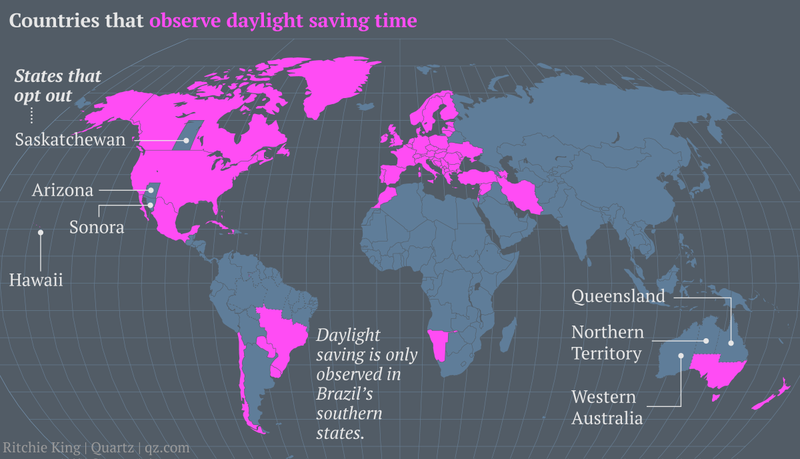 Arizona and Hawaii still will have nothing to do with DST. 6. There are only 23 hours observed on the day that Daylight Saving Time begins in the spring. The clocks jump from 1:59am to 3:00am. However, 25 hours are observed on the day when Daylight Saving Time ends. 7. In Europe Daylight Saving Time is called, Summer Time. 8. Observing DST year round would annually prevent 195 motor vehicle deaths of occupants, and 171 pedestrian deaths, according to a study reported by USNEWS. It turns out we are much safer drivers during daylight hours. 9. Children can be the most negatively effected by the time change. Experts say to begin the nighttime routine a few minutes early each night during the week leading up to Daylight Saving Time. This will help to prepare their mind and body for the change. 10. In 2005, Kazakhstan did away with daylight saving time. The country's government reportedly calculated that 51.6 percent of Kazakhs responded badly to the time change. Really? 51.6 percent of Kazakhstan are toddlers?